Personalize a gift for her that will last for years to come. Protect and store your jewelry in our 3-tiered lacquered wood boxes lined in faux suede. 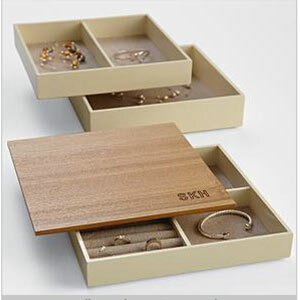 Modular design enhances your organization with each box containing different sized cubbies. Monogram with up to 3 characters.